Regis draws inspiration from the past but reinterprets it with contemporary flair. 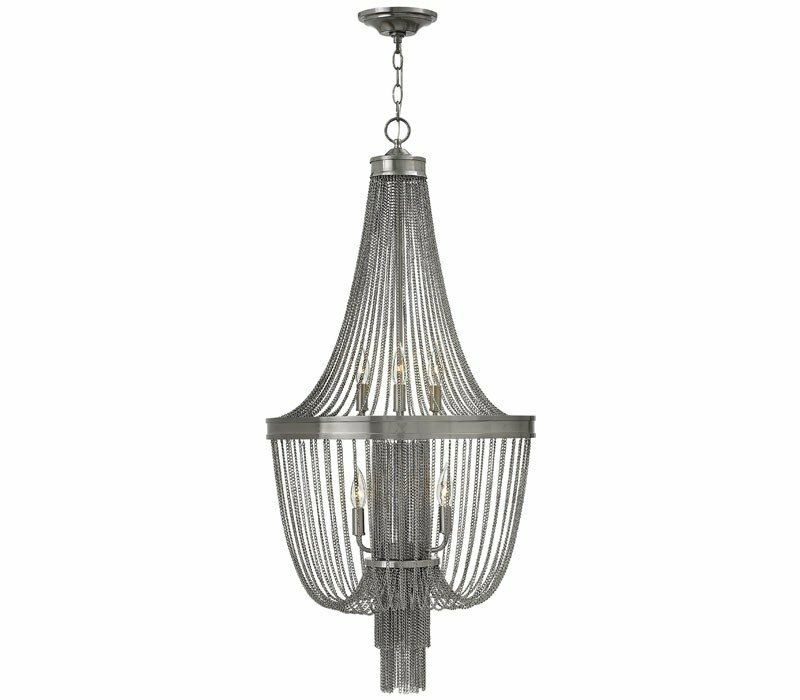 A 19th century French empire chandelier silhouette in Brushed Nickel creates graceful lines while contrasting with cascading beaded chain that injects an edgy sophistication. 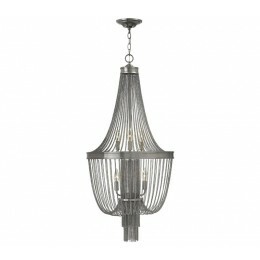 The Fredrick Ramond FR44305BNI Regis collection Chandelier Lighting in Brushed Nickel uses Incandescent light output. This item is 42"H x 20"W. The total wattage is 360 and the voltage is 120 volts. The Fredrick Ramond FR44305BNI requires 6 bulbs (not included). Additional Information: Shade-Metal Chain Shade.